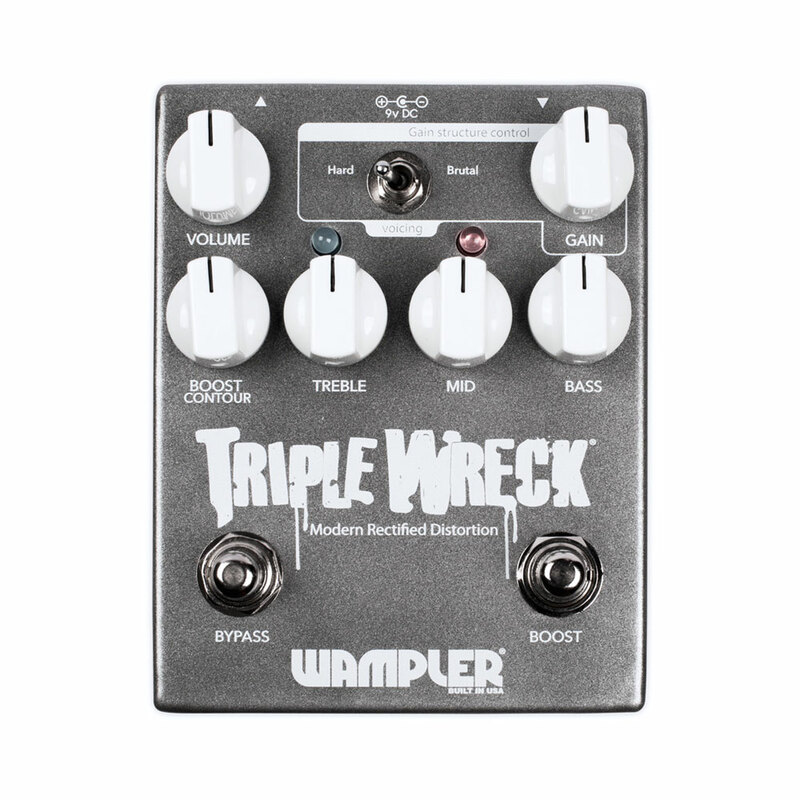 The Wampler Triple Wreck is probably one of the tightest, thickest highest gain distortions you have ever heard. With a 3 band EQ (you can scoop out those mids without it peeking out the lows and highs like other pedals) you can emulate some of your favourite high gain tones as well as being versatile enough to create a distinctive tone all of your own. 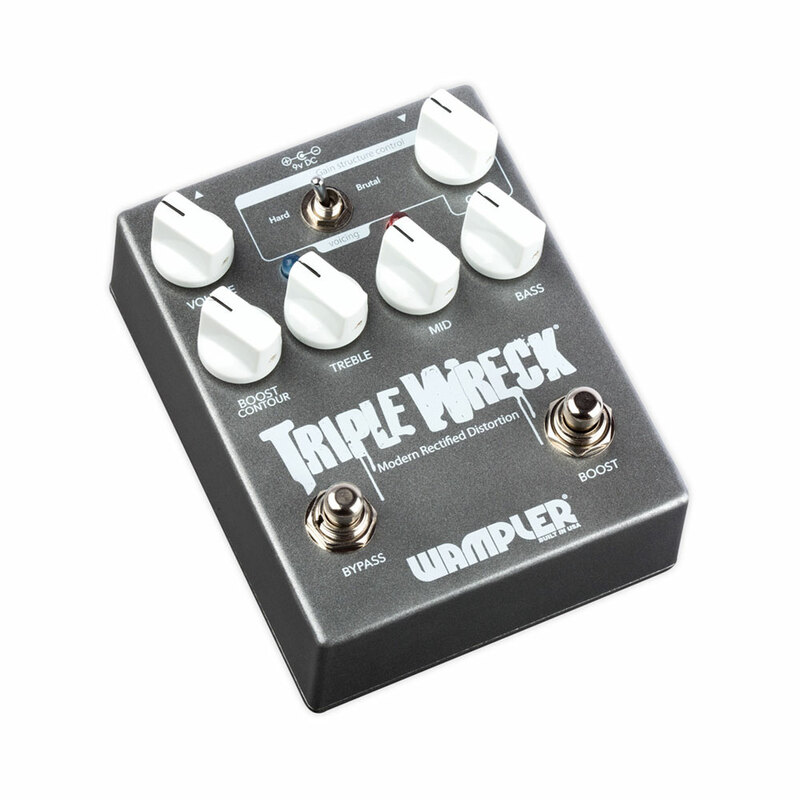 There are two distinct voices in the Triple Wreck via the Hard/Brutal switch. Hard gives you that warmer thump high gain whereas Brutal allows a little more sparkle to creep in, giving it that more recent full audio spectrum feel. 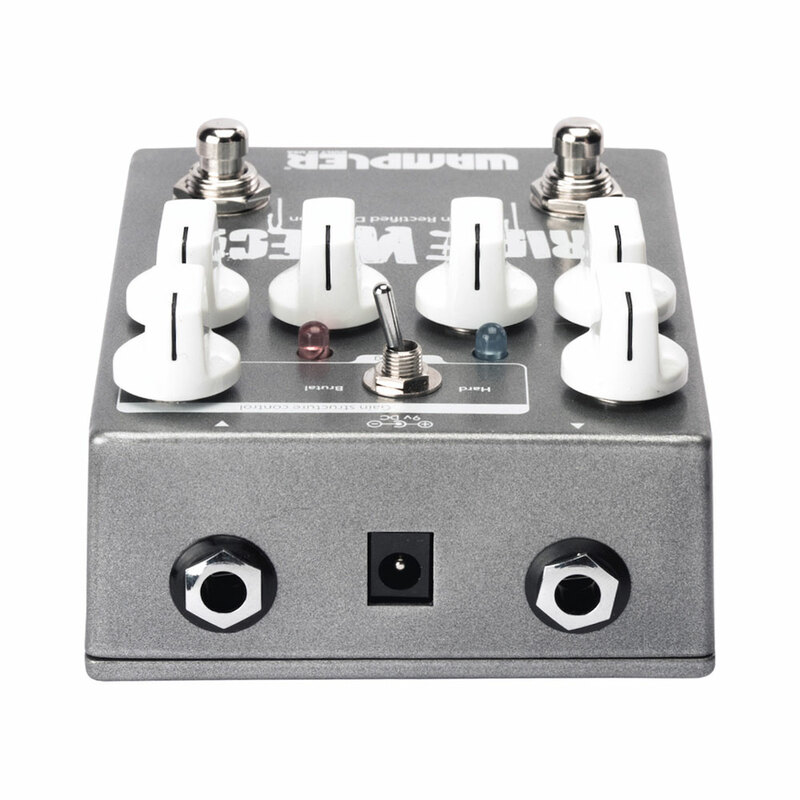 You can also switch in the boost circuit for further gain options via the contour control. With it dialled round to counter-clockwise, your distortion is multiplied and you have the solo sound you have always wanted. Pinch harmonics are just there, in places you’ve never found them before. With it dialled round to clockwise, your pedal turns into a fuzzy monster, tweak the EQ and you can get tone that will remind you of the Smashing Pumpkins right round to some Pink Floyd kind of fuzzy solo tone. It’s all there, waiting for you. 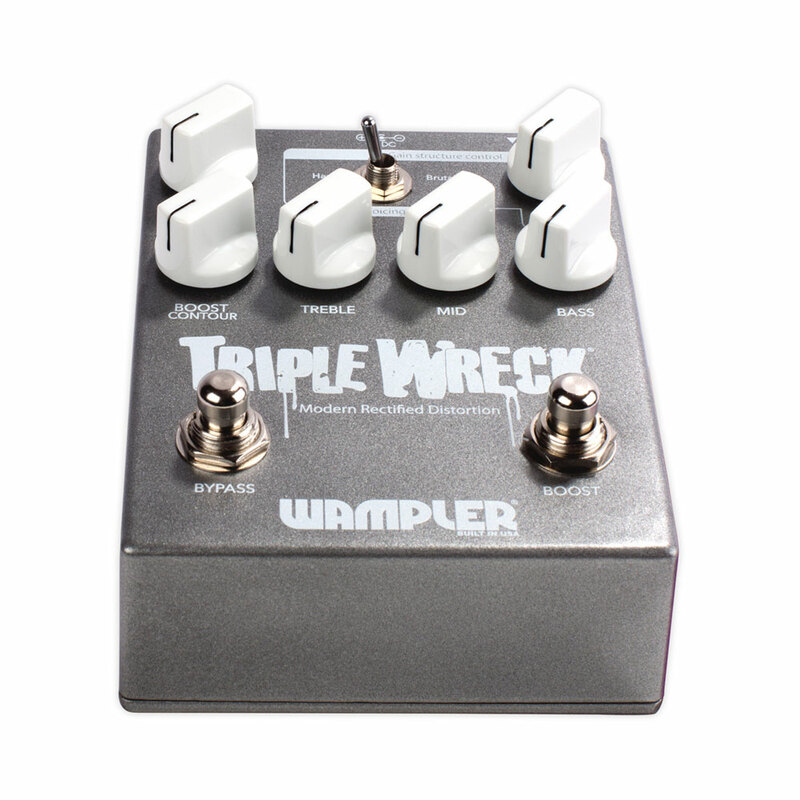 Think about your favourite high gain tone, is it a high gain with the mids scooped out, or is it roll your hand across the knobs to get that in your face fuzzy, brutal attitude-melting distortion. 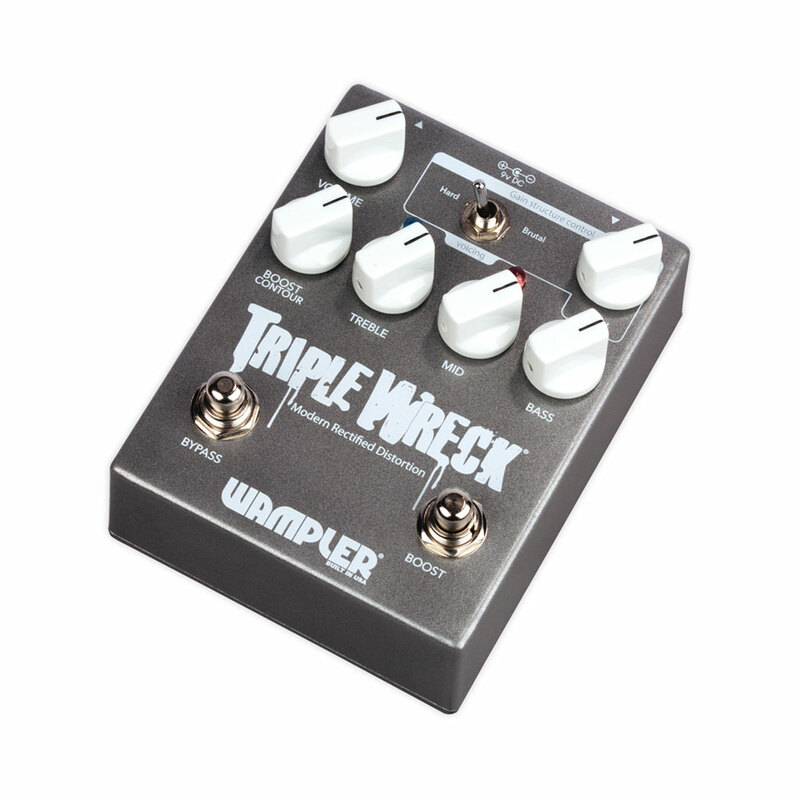 Whatever you are looking for, the Triple Wreck can satisfy all of those options.